Having helped people to emigrate to Ireland for decades, we understand just how important happy children are to a successful move. With this in mind, today we look at what Ireland offers, how to make the move, how to help your child settle in and what to expect from the school system. Is Ireland the right choice for my children? When you look at the OECD Better Life Index, there’s good news. The nation ranks above average in education, health, social connections, personal security, well-being, environmental quality, jobs and earnings, housing and work-life balance. The Index also reveals that the average student in Ireland scores well above the OECD average in terms of reading literacy, maths and science. Ireland scores highly on international indices. 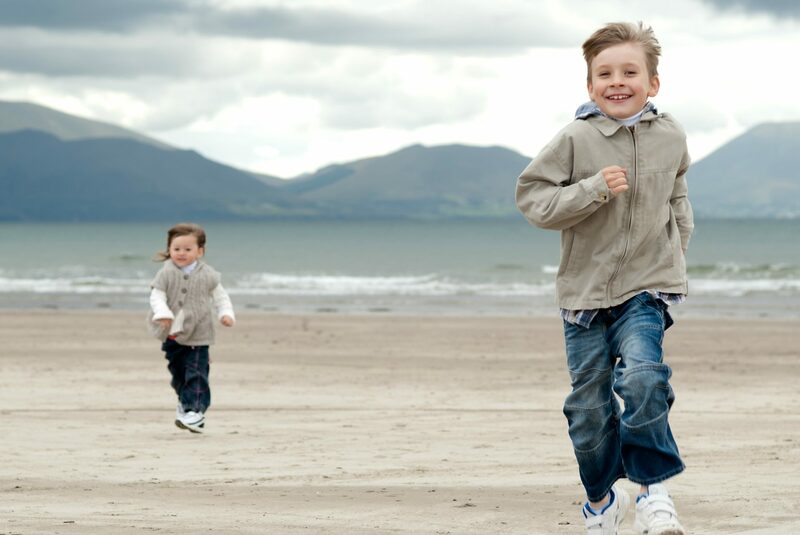 If you make a move to Ireland with your children, they’ll benefit greatly from the country’s healthy lifestyle. Furthermore, one of the biggest draws is all the fresh air you’ll be able to enjoy when you move to Ireland with your children. The OECD Index states that the air pollution level in Ireland is just 7.1. This is considerably lower than the OECD average of 13.9. What can we look forward to as a family? Getting to know and love your new home is one of the most exciting aspects of a move to Ireland with your children. One of the country’s major perks is its relatively small size, which allows you to drive to most locations within just a few hours. You can check out the imposing Cliffs of Moher, take a family road trip around the Ring of Kerry or go surfing in the Atlantic Ocean at Strandhill in County Sligo or Bundoran in County Donegal. If you like getting active as a family, there are six national parks to explore on foot or on bike. Additionally, Ireland is a nation of sport-lovers. Take in a hurling or a Gaelic Football match as a family – or encourage your little ones to join a local team if it takes their fancy. This is a country where musical talent can flourish and is encouraged. Whether it’s Irish folk music or classic rock, the nation has a rich musical history, which will appeal to many children. Perhaps, they might even take a shine to Irish dancing – you never know! Visa matters: Can my child move with me to Ireland? If you are a UK citizen , you have the right to bring family members to live with you in Ireland. EU law on free movement still applies, and even post-Brexit, the rights of UK citizens living in Ireland won’t be affected. The British Foreign Office have confirmed that ‘the rights of Irish and British citizens are protected under the Common Travel Area (CTA)’. This agreement that came into play long before both nations became members of the EU. A move away from the country they know can seem incredibly daunting to a child if it remains a mystery. You can ease this process by including them in the decision and the planning. It’s important to effectively communicate the reasons why you want to move to Ireland with your children, and the ways in which your life will improve when you arrive. Equally, plan viewing trips in the school holidays, so you can take the kids wih you. Encourage your children to investigate their new country. To listen to music, watch TV and films, read books based in Ireland and to look up places to visit online. Ireland is a beautiful place, with a lot to offer. Therefore, taking the time to see what excitement is in store for you as a family can make them super excited for what’s to come. Make plans and you’ll have something to look forward to when you move to Ireland with your children. Plan a trip to kiss the Blarney Stone or visit Fungie the dolphin down in Dingle. Maybe your little ones are desperate to try out their news bikes on one of the country’s many cycling tracks. Or, if they enjoy rugby, you could book in to go and see a game at Dublin’s Aviva Stadium. There is a lot to see and do in Ireland. Education in Ireland is excellent. In 2017, the nation was ranked sixth in the world in the World Economic Forum’s Global Competitiveness Report. It has excellent schools at primary and secondary levels. For higher education, Trinity College Dublin is internationally renowned. Fortunately, Irish school terms correspond to those in the UK. Therefore, they start in September and end in July. This means minimal disruption for your kids, as long as you choose to move at the right time. In Ireland, school is compulsory and free for all children from the ages of six to sixteen. Classes are taught in English, apart from in dedicated Irish-medium schools. You will find that most schools are privately-owned, but still free, and are run by religious orders. However, most teachers will be non-religious unless you choose to send your children to a specifically religious school. Your child will attend secondary school from 12-17. After the first three years of secondary education, it is possible to opt to take a Transition Year, where your child can explore their non-academic interests. As a general rule, these years usually revolve around work experience, and afford them the chance to try out potential careers before starting their Senior Cycle. This is the equivalent of sixth form college. At the end of Senior Cycle, your child will take their Leaving Certificate. They can either opt for a traditional leaving certificate, which focuses on academic subjects, or a vocational or applied programme, which are both more focused on technical or practical skills. It’s worth noting that Irish secondary schools tend to have specialities. Therefore, you’ll need to involve your child in the decision-making process to ensure they attend an institution that appeals to them and their ambitions in life. For example, some schools specialise in languages or sciences and there are others that have excellent music or arts programmes. 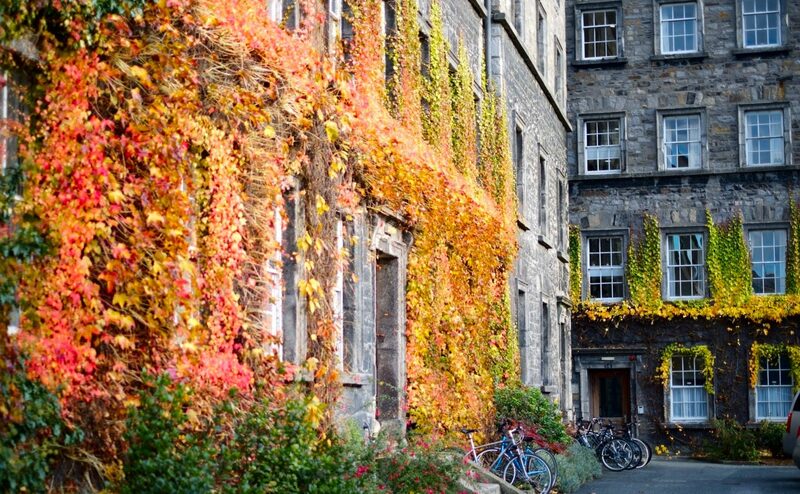 If you make a move to Ireland with your children, you’ll find that it has excellent schools and universities. How to ensure my child gets a place? Children living in the local area are given admission priority, but it’s still important to plan ahead. This is especially important if the school you want them to attend is in high demand. 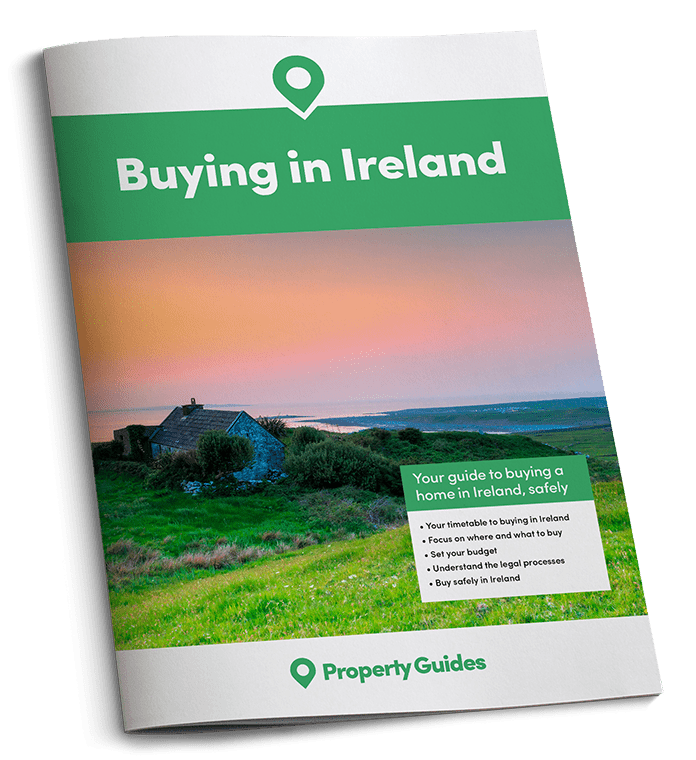 We recommend factoring nearby schools into any decision to purchase property when you move to Ireland with your children. Last year, the College Times list was released of Ireland’s best performing schools from each of the country’s provinces. The rankings revealed that the top five schools in the Ireland are all girls’ schools. Of these top five schools, 85% of pupils went on to university. 100% went on to further education. The best boys’ school in the country is Glenstal Abbey School, which is located in Limerick. The best mixed school is Coláiste na Coiribe in Galway, which is Irish-medium. PUPILS: Ages 3-12 of more than 20 nationalities. The International School of Dublin (ISD) was established in 2007. It is the only International Baccalaureate (IB) Primary School in Ireland. The school is culturally diverse and non-denominational. ISD prides itself on its internationally experienced staff and the student-focused, real-life learning experiences offered. PUPILS: 1,300 pupils from over 40 countries. A co-educational, inter-denominational school offering a high-quality, wide-ranging liberal education. Pupils can opt to study for Irish qualifications or for an IB Diploma. The school is fantastically located, overlooking Dublin Bay in the suburb of Booterstown. Sporting facilities are excellent and include two hockey pitches, two rugby pitches, two tennis courts, a sports hall and a fitness centre. PUPILS: Mixed school for students aged four to eighteen. Sutton Park School was founded in 1957 by a group of leading local business professionals. While it predominantly caters to day pupils, there are boarding places available. The school started out with just 40 pupils, and now educates more than 450. Around 30 percent of the student population come from countries other than Ireland. The school is located in an impressive Georgian Building and enjoys state-of-the-art sports, arts and IT facilities. It follows the Irish curriculum.